Despite my best efforts I've never quite bonded with Georgette Heyer. I think I may have randomly picked up some of the weaker ones and cast them rapidly aside but I know there are plenty of Heyer fans out there and, if time permitted, Jo Manning's book might actually almost make me redress the balance and dive headlong in. 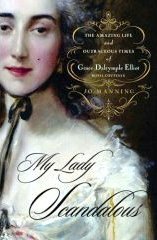 My Lady Scandalous, the Amazing Life and Outrageous Times of Grace Dalrymple Elliott, Royal Courtesan is a readable and often rather irreverant romp through the Regency era chez courtesan extraordinaire Grace. 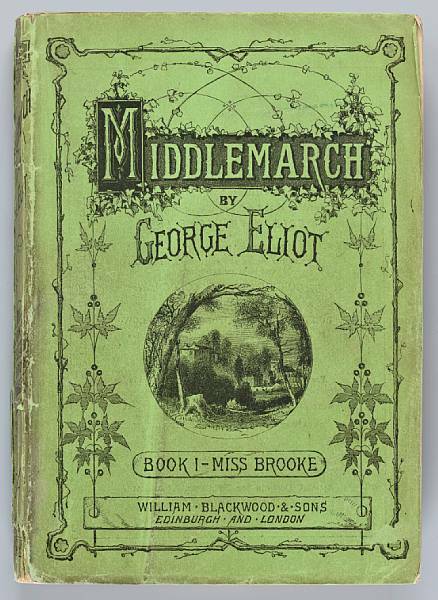 Grace flaunted her assets at the English aristocracy with alacrity and guile and left in her wake a heap of names that moved in the absolute upper strata of society. Lord Cholmondely was smitten to the tune of not one but two Gainsborough portraits of Grace, one in 1778, the year that Grace gave birth to a little Georgiana who may or may not have been the offspring of the Prince of Wales. Turning her attentions to the French aristocracy when the going got a little tough in the UK ,and never one to mess about in the lower echelons, Grace headed for the wealthiest of the lot, Philippe, Duc D'Orleans. Timing was not her special gift though,and Grace found herself within a whisker of the French revolution and a neck's length of the guillotine. I haven't read cover to cover but I did spend a fascinating evening browsing this book and thoroughly enjoyed all the anecdotal asides and snippets of sociological and cultural information that Jo Manning has interspersed throughout the 400 pages. Included is a really helpful explanation of The Peerage which is complicated if you live here (especially if you don't belong to it) so must be the very devil to understand if you live elsewhere. I now know a little more about Duke, Marquis, Earl, Viscount and Baron v Duchess,Marquess, Countess, Viscountess and Baroness. Who I must call Lord and who gets the "Oi Your Grace" when we meet in the street, in case I ever need it. There's even the ever-helpful list of how to pronounce those names whose spelling bears no resemblance to the saying of them. Hands up everyone who's been saying St Aubyn instead of Stubbs. Oh, that was just me again was it? Why didn't you all tell me? As an American author, Jo Manning takes a no holds barred approach and speculates in a refreshingly un-British way on aspects of the Regency era that British reserve may have left unsaid. Her sweeping and it must be said, slightly judgemental comparisons with present-day aristocratic and even Royal scenarios will make many people squirm uneasily. There's me, all serf-like, reserved, British and subserviant, and couldn't possibly tell you what they are for fear of ending up through Traitor's Gate and into the Tower, but Jo can tell it as she sees it and why not? She's a good long rowing boat's journey away from the place. As an aside I wouldn't have believed it, but it was in this book that I learnt that Tim Bentinck, who plays David in The Archers, is actually the twelfth Earl of Portland but sadly sans money or property, which is probably why he's busy with Ruth and Pip, Josh and Ben and that family and those cows. I've also got to mention Madame Tussaud because of course one visits this blog, though probably doesn't have to worry about a reprieve within hours of the guillotine and the hair cut already.Poor old Madame T. or Marie Grosholtz as was, then had to work on the heads fresh off the chopping block, making masks of them on her lap including Marie Antoinette and Robespierre.Francois Tussaud to the rescue and Baker Street beckoned which must have been something of a relief. The guillotinesque descriptions take no prisoners so be sure not to read over a plate of brawn. All in all a fascinating book, not quite a biography and Jo does venture into a rather chatty familiarity at times which for me deflected from any serious historical influence that the book may have had, but still a useful and fascinating read for non-UK based Heyerettes and even the home-spun ones might find something of interest here.